Whomp whomp. There're no Optimus Prime with Trailer Launchers for sale. It's all right, though the trailer has a tendency to pop open. Great overall. 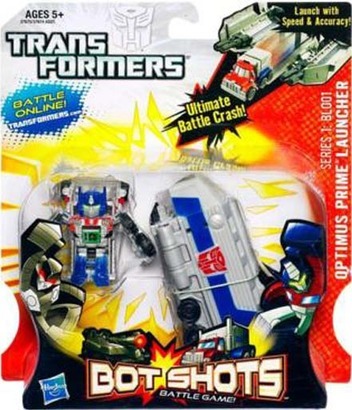 Great little toy for the Optimus Prime fan. Not much to these guys, although mine don't easily stay closed. They are fun remembrances of G1 though. Launcher didn't seem to always work properly, it could be user error.